OK, you have requested this tutorial over a hundred times. You have been asking for this via email, social media, and private messages. So, today, I’ll show you how to animate a 3D body model using Kinect. To make things easy, we’ll be using Vitruvius throughout this tutorial. Let’s get started. The complete Unity source code demo is included in Vitruvius. Launch Unity and create a new project, or open an existing Kinect project. We are using Unity because it has awesome 3D support. Vitruvius includes a handy .unitypackage file. You can double-click or import that package in your project. The package includes Windows.Kinect.dll and LightBuzz.Vitruvius.dll. Those are the required assemblies to use the complete power of Vitruvius. Open your scene file in the Editor and import the 3D models you want to animate. Place them whenever you think it’s necessary for your game. I have imported the male and female 3D body models. They are named “male” and “female”, respectively. Now, it’s time for the cool part! 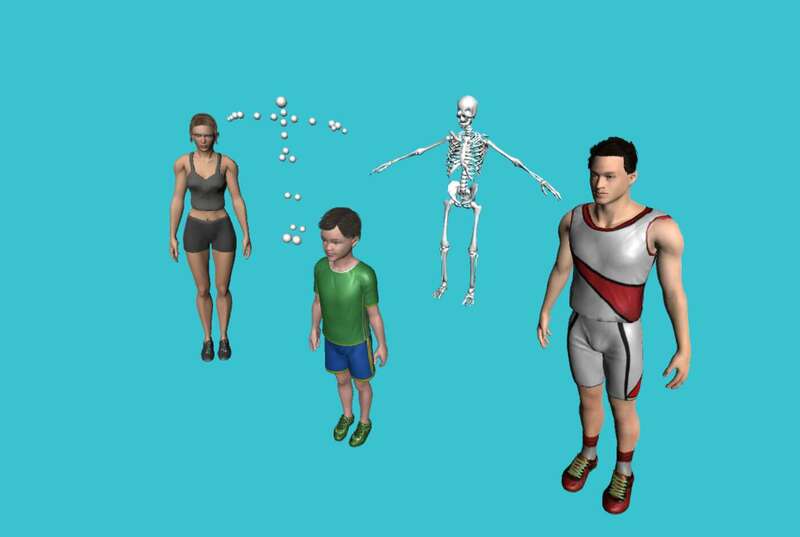 To see your avatars animated, you simply have to loop through the tracked bodies and update the corresponding avatars. Vitruvius does this with just one line of code. If you enjoyed this post, consider checking Vitruvius. Vitruvius is a set of powerful Kinect extensions that will help you build stunning Kinect apps in minutes. Vitruvius includes avateering, HD Face, background removal, angle calculations, and more. Check it now. The Vitruvius library has been incredibly easy to use so far in our project to combine Kinect gesture detection with HoloLens. I don’t think it can be simplified more than Vangos has done. I highly recommend it. Thank you very much Kyle. I’m glad you enjoy Vitruvius. Feel free to email me information about your project when ready, so I can feature it on Vitruvius. Hello! I’ve purchased the premium version and am trying to follow this tutorial, and imported the packages to Unity. However, I cannot find the free models anywhere, just something called “Codeman.” Where should I be looking? (If it’s worth noting, I don’t have Unity Pro, although it doesn’t seem like anything bad has happened yet).